2. Health Card linked to health facilities- Policy recommends linking the health card to primary care facility for a defined package of services anywhere in the country. Micronutrient Deficiency- Focus on reducing micronutrient malnourishment and systematic approach to address heterogeneity in micronutrient adequacy across regions. Quality of Care- Public hospitals and facilities would undergo periodic measurements and certification of level of quality. Focus on Standard Regulatory Framework to eliminate risks of inappropriate care by maintaining adequate standards of diagnosis and treatment. Make in India Initiative- Policy advocates the need to incentivize local manufacturing to provide customized indigenous products for Indian population in the long run. Application of Digital Health- Policy advocates extensive deployment of digital tools for improving the efficiency and outcome of the healthcare system and aims at an integrated health information system which serves the needs of all stake-holders and improves efficiency, transparency, and citizen experience. 8. Private Sector engagement for strategic purchase for critical gap filling and for achievement of health goals. 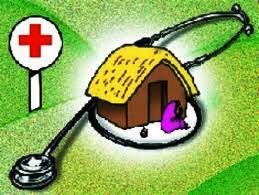 At present, there is no proposal under consideration of the Government to make health as a fundamental right. However, National Health Policy, 2017 advocates progressively incremental Assurance based Approach with focus on preventive and promotive healthcare. The National Health Policy 2017 recognises that improved access, education and empowerment would be the basis of successful population stabilization. The policy imperative is to move away from camp based services with all its attendant problems of quality, safety and dignity of women, to a situation where these services are available on any day of the week or at least on a fixed day. The process of formulation of the new National Health Policy entailed wide consultation with multiple stakeholders, Regional consultations, approval of Central Council of Health and Family Welfare and Group of Ministers. The Cabinet in its meeting held on 15th March, 2017 approved the National Health Policy, 2017. The National Health Policy 2017 envisages raising public health expenditure progressively to 2.5% of the GDP by 2025.